When it comes to customization Google lacks behind in their software. 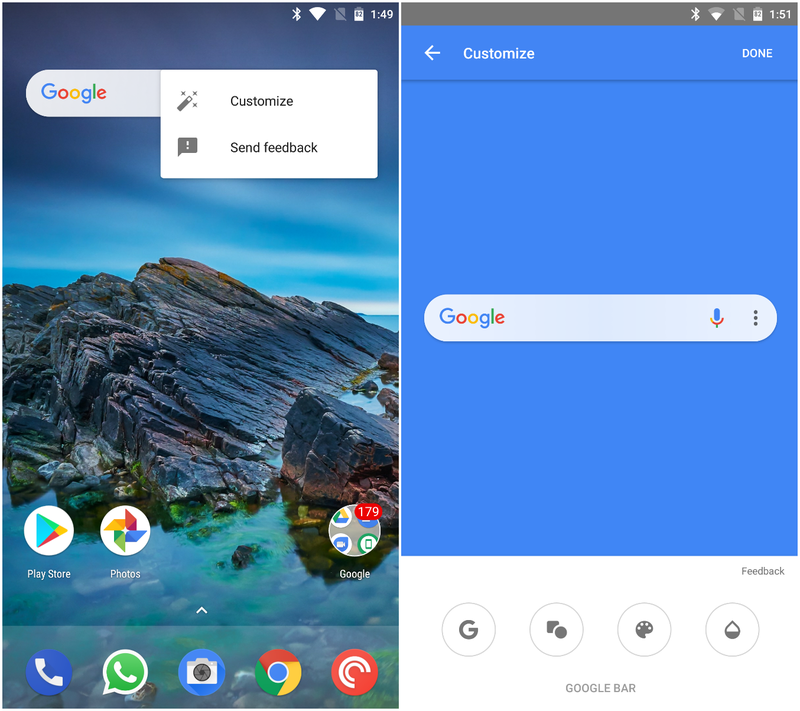 When Google launched Pixel Laucher, many people wanted to change the design and look of the search bar which is also known as Pill, but couldn't unless you try any third-party launchers. But, today the latest Google app beta version 7.14.15 finally brings all those options to life for everyone. The widget is still the same, the primary change is an overflow menu on the right which lets you Customize your widget by giving you options. Tap that and you're taken into a new UI where the search bar is dropped in the middle of the screen with a white menu of 4 options below it. This is a big deal for a stock app, but for those who are using third-party launchers like Nova and Action won't find anything new in this. If you are on Google app beta 7.14.15, this option should be visible but if you don't, make sure you're using the default search bar widget from the Google app and not some third-party one from your launcher.